Even the simple act of making toast raised particle levels far higher than expected. Let's admit it, a lot of us do not have the luxury of time to cook ourselves a lavish breakfast every day. 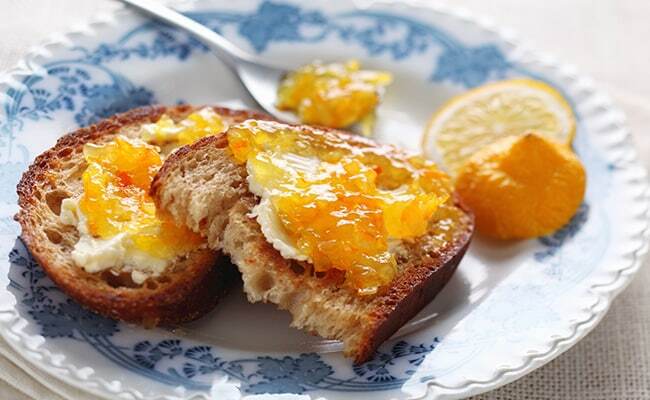 Therefore, most of us rely on a simple toast with a spread of jam or cheese to get us going. Would you believe that making a simple breakfast toast could contribute to a high level of indoor air pollution? According to a study, done by a team of researchers at the University of Colorado Boulder, basic household tasks such as boiling water or cooking your dinner or cleaning could pollute your house. This indoor pollution could also prove detrimental to your health. "Homes have never been considered an important source of outdoor air pollution and the moment is right to start exploring that," said Marina Vance, Assistant Professor at the varsity. "Even the simple act of making toast raised particle levels far higher than expected," she added. The study used advanced sensors and cameras to monitor the indoor air quality of a 1,200 square feet manufactured home. For over a month, the team carried out a variety of daily household activities, including cooking a full Thanksgiving dinner. Through the course of the experiment, the team measured indoor concentrations and found it to be high enough for their sensitive instruments, which needed to be recalibrated almost immediately. Vance stressed upon the need for homes to be well ventilated while cooking and cleaning. Even basic tasks like boiling water over a stove top flame can contribute to high levels of gaseous air pollutants, which in the long run could affect your health. The scientists also said that the airborne chemicals that originate inside a house do not stay there. The volatile organic compounds from products such as shampoo, perfume and cleaning solutions tends to escape and penetrate into ozone, making up an even greater source of global atmospheric air pollution than cars and trucks do. The paper presented at the 2019 AAAS Annual Meeting in Washington. While many traditional sources like fossil fuel-burning vehicles have become much cleaner than they used to be, and ozone and fine particulates are monitored by the US Environmental Protection Agency, but data for airborne toxins like formaldehyde and benzene and compounds like alcohol and ketones that originate from the home are very sparse. "We need to re-focus research efforts on these sources and give them the same attention we have given to fossil fuels. The picture that we have in our heads about the atmosphere should now include a house," the researchers said.